It's pretty cool that you can now buy lower box San Francisco Giants tickets from Costco. 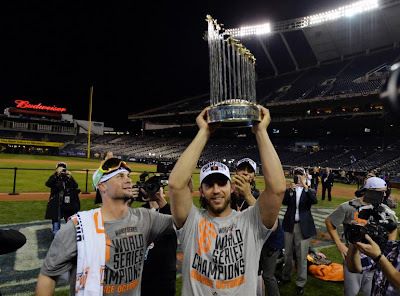 After beating the Kansas City Royals and having won their third World Series in five years, the Giants have never been more popular than they are now. Having said that, in general lower box tickets for Giants home games at AT&T Park tend to be pricier now due to their popularity and dynamic ticket pricing. 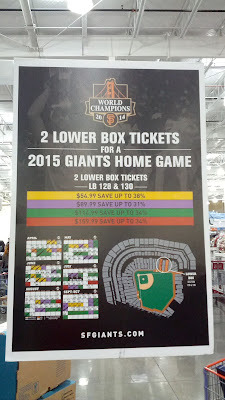 At least the Giants tickets you can get from Costco are reasonably priced and won't be susceptible to going up in price once the season begins like what happens with StubHub where the market dictates the price. With Spring training just around the corner, you can get a few of these and take your family to go see the reigning World Series champs defend their title in 2015 at baseball's most beautiful ballpark, AT&T Park, where you might see some splash hits to McCovey Cove. You and your family don't have to sit up in the upper nosebleed section anymore. This is perfect for the baseball fan in your life. If you take advantage of this deal, you'll see Skipper Bruce Bochy lead a team featuring World Series and NLCS MVP Madison "MadBum" Bumgarner, former NL MVP Buster Posey, Hunter Pence, Tim Lincecum (The "Freak"), Matt Cain, Joe Panik, etc. win some baseball games. Go Giants (and boo the Los Angeles Dodgers)! Starting Pitchers Ryan Vogelsong and World Series MVP MadBum celebrate winning Game 7 of the 2014 WS in KC.